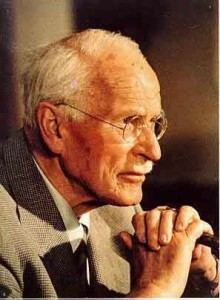 Many theories of Psychological Type are based on the work of Carl Jung. Originally Jung looked at ways of perceiving information and making decisions, and whether these are inwardly or outwardly directed. Subsequent work by Isabel Briggs Myers developed questions of psychological preferences across 4 dichotomies to help get to those underlying Jungian functions, and this method has become one of the more commonly used approaches. how you deal with the world around you. The theory suggests that there are two opposite ways of approaching each of these and that everybody will have a natural tendency towards one over the other. This does not mean, however, that we cannot consciously behave in the opposite way if we wish to, but it is likely to take more effort and be less enjoyable. One’s Type preferences across these four dichotomies combine together to give a rich picture of an individual. There are no better or worse Types – each has its potential gifts and pitfalls. It is also important to note that type does not imply ability, it is about motivation, energy and natural tendencies. There are a variety of questionnaires, such as the Myers-Briggs Type Indicator (MBTI®) that can help you to find out your psychological type. The results of the questionnaire are used together with a feedback discussion to help you to discover what your psychological type is. Each of the four dichotomies are explored during the feedback discussion. Through discussion, the client decides which of each pair is his/her preference or natural tendency. To explore your Psychological Type, contact one of our registered Type practitioners. Click on the ‘Search Profiles’ button in the ‘Find a Practitioner’ area on the right. Extraversion and Introversion in this context are not reflective of the everyday use of these terms. Sociability is not implied here. You are the best judge of your Type, so it’s up to you to make the final decision about your Type. The questionnaire is just an indicator of your possible Type. Also, remember, whilst learning about your own Type is very useful for personal development, it is also important to learn about the other types so that you can relate to them better. Once you have decided which four are your preferences, read the description of your whole Type. If you have still not decided which four letters best suit you, read a few of the descriptions below and see which one best describes you. The four letters of your Type combine and interact with each other to give your whole Psychological Type. (BAPT members can also look at the Type Verifier in the Members’ Area). You may see aspects of yourself in several of the descriptions, however there should be one that describes you at your most comfortable.